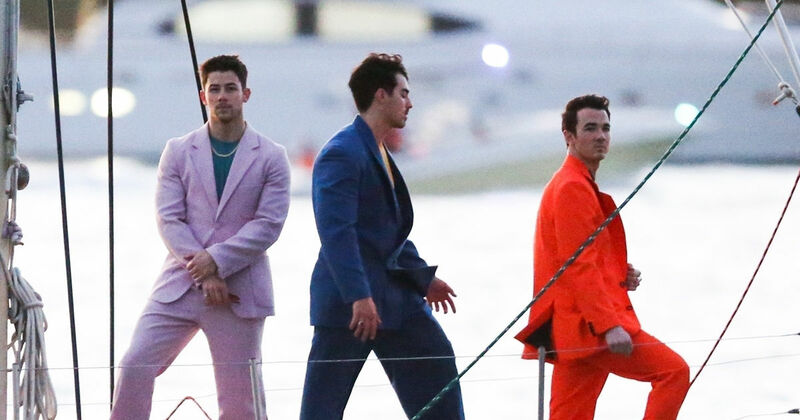 The Jonas Brothers are poppin' in Miami ... with some bright **** colors that are clearly an homage to "Miami Vice." Nick, Joe and Kevin are down in South Beach shooting their next music video. They're on a yacht and looking very Crockett & Tubbs -- the main characters on the classic TV show, for you kids. The pastels are a nice throwback ... although only 2 of the bros were even alive at the height of "Miami Vice."